Each box contains 24 packs. Each pack contains 9 cards. 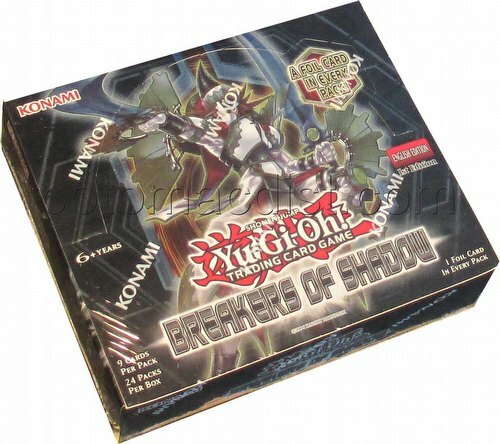 Swords will clash with the Breakers of Shadow booster set. 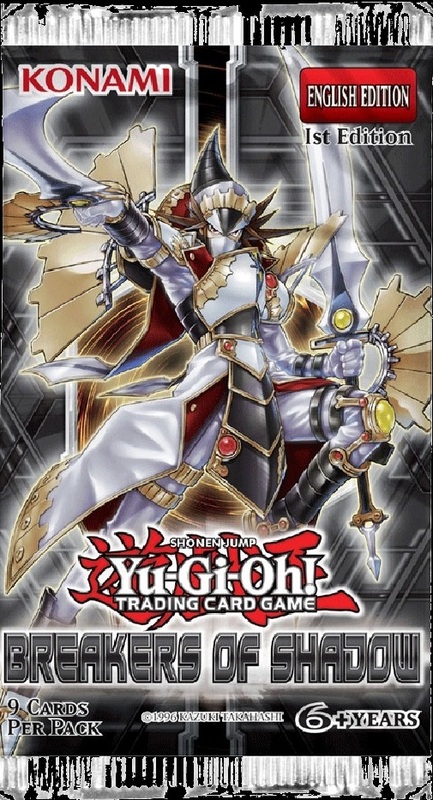 Buster Blader is back as Buster Blader, the Destruction Swordmaster, with a mighty band of new support cards taht make this iconic monster stronger than ever. The set also introduces exciting new deck themes and strategies. The Shiranui use the strength of Samurai spirit warriors to power you through Duels, while Twilight Ninjas rely on speed and numbers to overwhelm your foes. Opponents will feel the power of the Dinomists, steam-powered Pendulum dinosaurs that can land a heavy hit when you least expect it. New cards for existing themes are also included like Melodius, Goyo, Majespecter, Odd-Eyes, Performapal, Magicians, and more, headlined by over a dozen new Extra Deck monsters. Every booster pack has at least 1 foil card. There are 100 cards in the set (48 commons, 20 rares, 14 super rares, 10 ultra rares, and 8 secret rares.